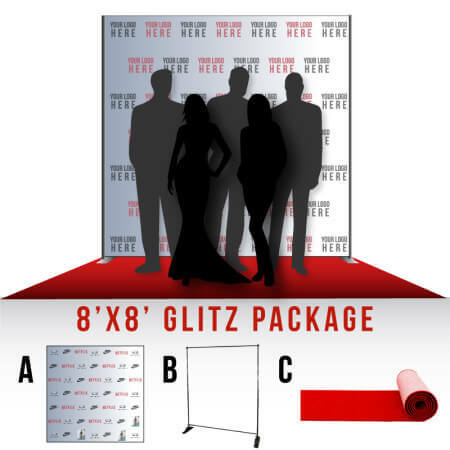 Step and repeat red carpet packages available for purchase online which include backdrop, stand and carpet! 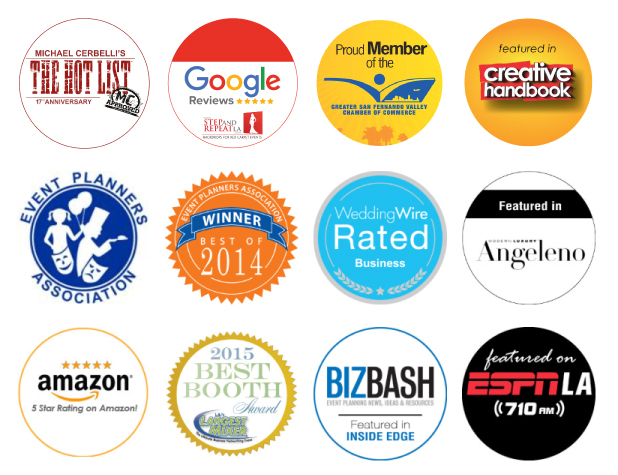 Free layout of your logos. Email us your logos and you’ll receive an artwork proof right away! *Turnaround time is 3-4 day after artwork approval. *Does not include shipping time. 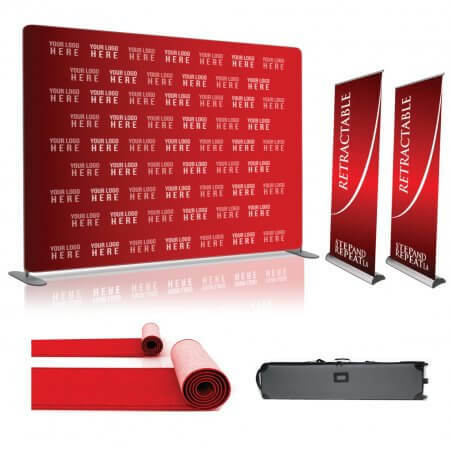 1) 8' x 8' custom printed vinyl banner (option to upgrade to fabric) 2) 8' x 8' telescoping banner stand with bag 3) 8' x 4' red carpet This includes free layout of your logos, a free stand bag and free ground shipping. 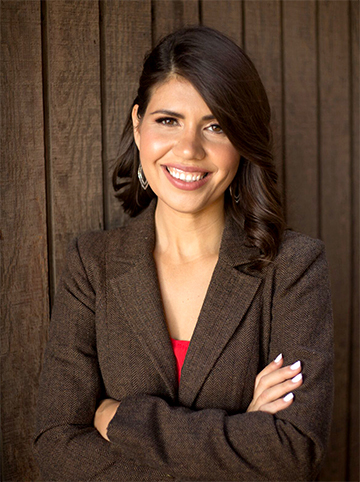 This is the most popular red-carpet setup for events.